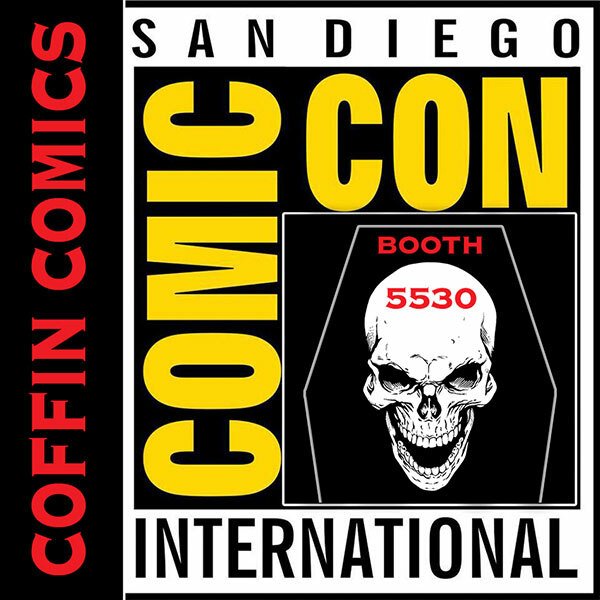 San Diego is THE BIGGEST con for Coffin Comics and we’re ready to party! 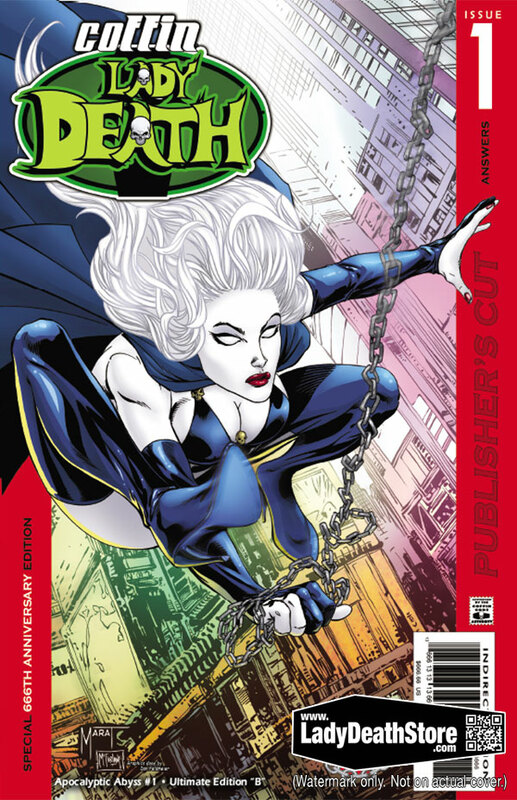 Our San Diego Comic Con 2018 exclusives will be available for purchase at the show (Coffin Comics – Booth 5530) and online at Lady Death Store. 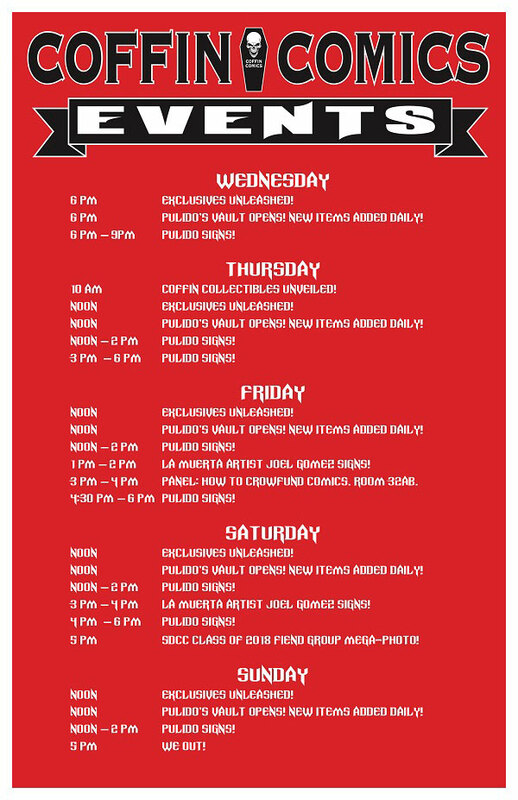 ORDER LIMIT ADVISORY: Due to the heavy demand we experience for products each year at SDCC, all comic book exclusives have defined order limits. To keep things fair for everyone, we reserve the right to cancel duplicate orders. Full color, 24 pages. Limited to 250 serially numbered copies! Limited to two (2) copies per customer, per household during SDCC. Full color, 20 pages. Limited to 200 serially numbered copies! Full color, 20 pages. Limited to 150 serially numbered copies! Limited to one (1) copy per customer, per household during SDCC. Full color, 20 pages. Premium Holo-Foil cover! Limited to just 99 serially numbered copies! Full color, 24 pages. Limited to 200 serially numbered copies! NOTE: 20% of print run will feature an alternative “Error” Edition, randomly inserted. Offered live at SDCC with “mystery sheet” to hide covers. Alternative “Error” editions are not for sale individually. We cannot guarantee that you will receive an Alternate “Error” cover. Cover by Zombie Tramp creator Dan Mendoza! Full color, 24 pages. Limited to 300 serially numbered copies! Limited to three (3) copies per customer, per household during SDCC. Full color, 24 pages. Premium Holo-Foil Cover! Limited to 99 serially numbered copies! Cover by legendary artist Frank Cho! Full color, 24 pages. SOLID METAL front cover! Limited to just 25 serially numbered copies! Artwork by Zombie Tramp creator Dan Mendoza! Uncut cover sheet with printer marks! Limited to orders received by Monday, July 23 at 9:00AM Arizona Time. Uncut cover sheets will be serially numbered! NOTE: Censor bar does not appear on actual cover sheet. Artwork by legendary artist Frank Cho! We weren’t kidding when we said this was THE BIGGEST con for Coffin Comics! P.S. Don’t forget to set a reminder! 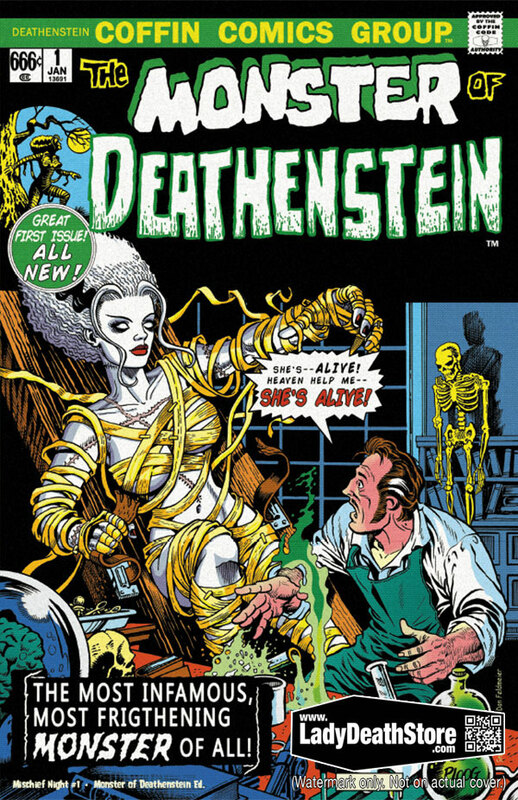 COFFIN COMICS FESTIVAL 2019 – GET YOUR TICKETS TODAY! 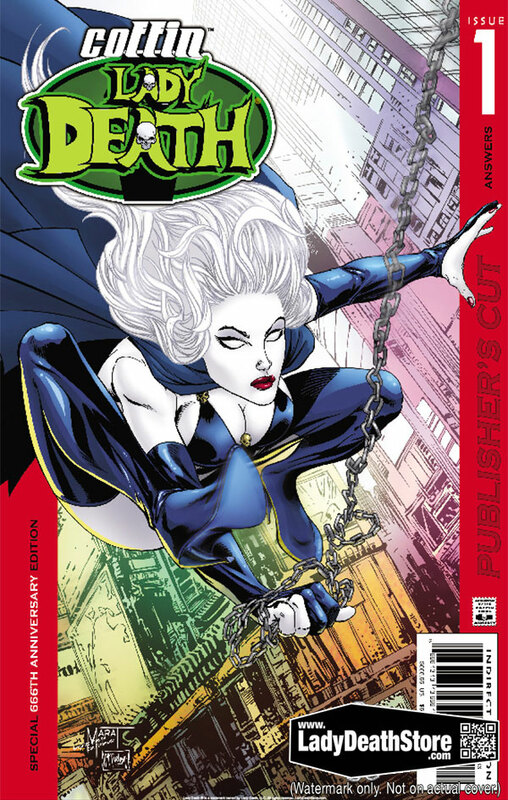 Brian Pulido and Coffin Comics proudly presents the COFFIN COMICS FESTIVAL, where fans from across the globe gather to meet for a weekend of debauchery during Lady Death’s 25th Anniversary in comics! Get one (1) admission to Coffin Comics Festival with a guided tour of Coffin HQ! Also includes an exclusive festival edition comic with cover art by Mike DeBalfo, plus a collectible Holo-Foil ticket! NOTE: Exclusive comic and Holo-Foil ticket will be issued during registration at the event. Your chance to mingle with Coffin fans from around the globe and the Coffin Crew themselves. Cash bar and complimentary munchies. Location to be announced! 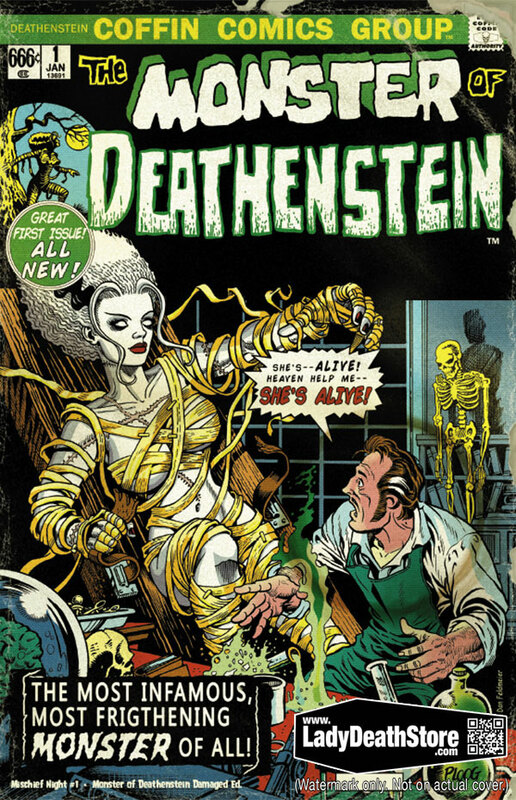 Featuring tours and the Grand Opening of The Lady Death Museum & The Coffin Comics Company Store! BE THERE! This is a once-in-a-lifetime event! 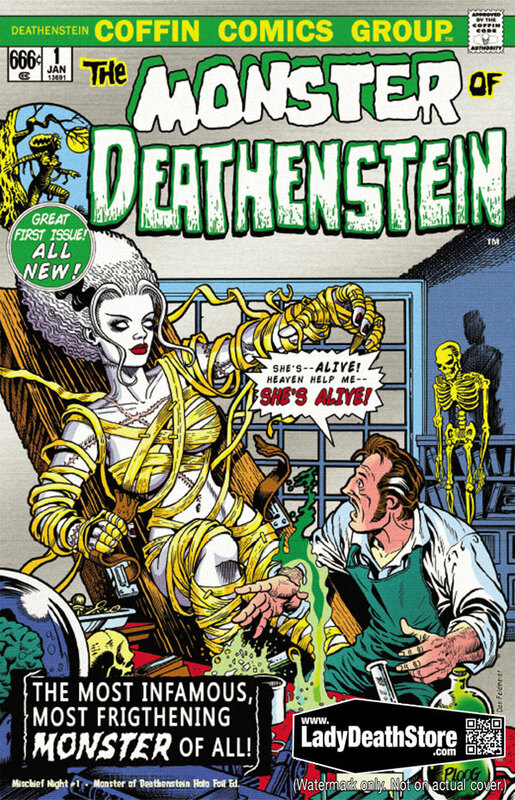 The Coffin Comics Festival is a chance to meet the ALL-STARS of Coffin Comics under one roof! We’re proud to announce the 1st Wave of Guests for the Coffin Comics Fest 2019! 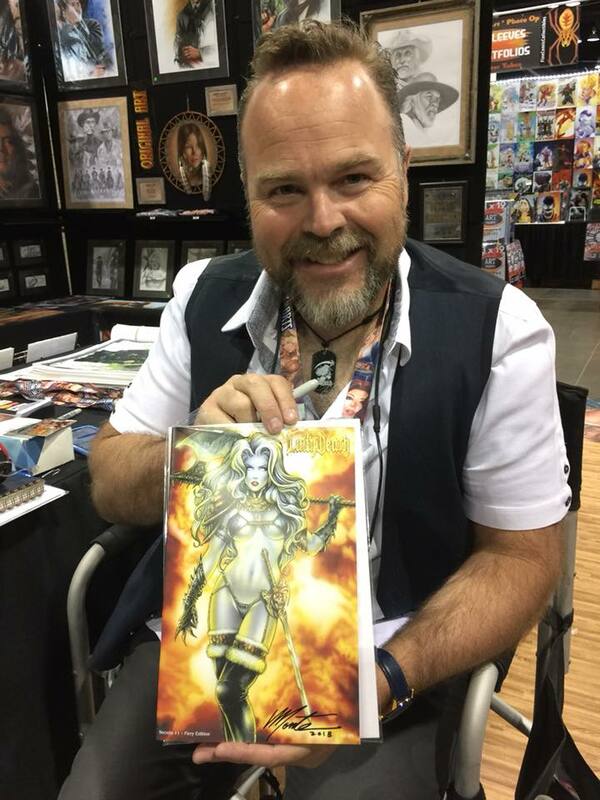 Monte Moore is a talented illustrator, artist, custom motorcycle painter, writer, and all around designer. 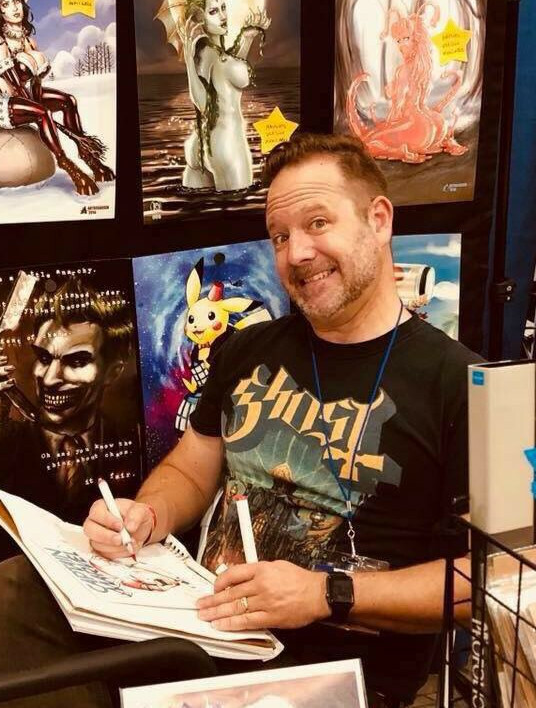 He started off by airbrushing in comic books and has moved on to various art mediums in the fantasy and sci-fi fields. 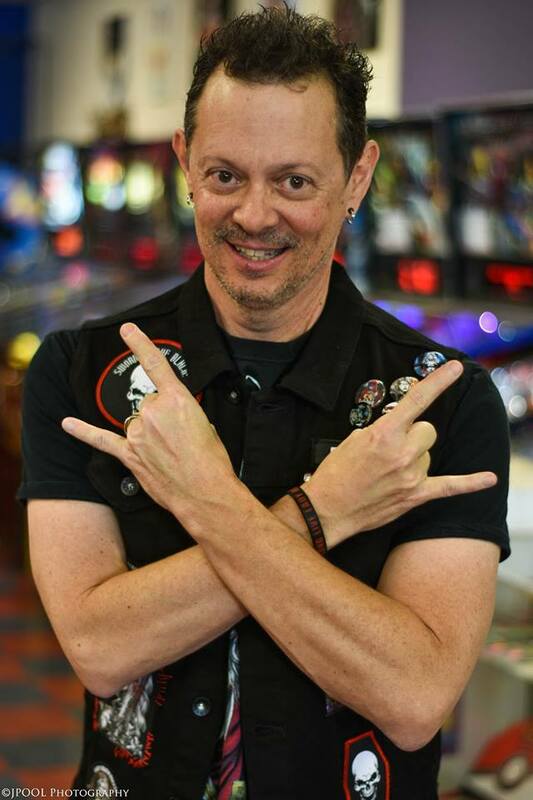 Brian Pulido is a multi-talented creator, writer and producer. 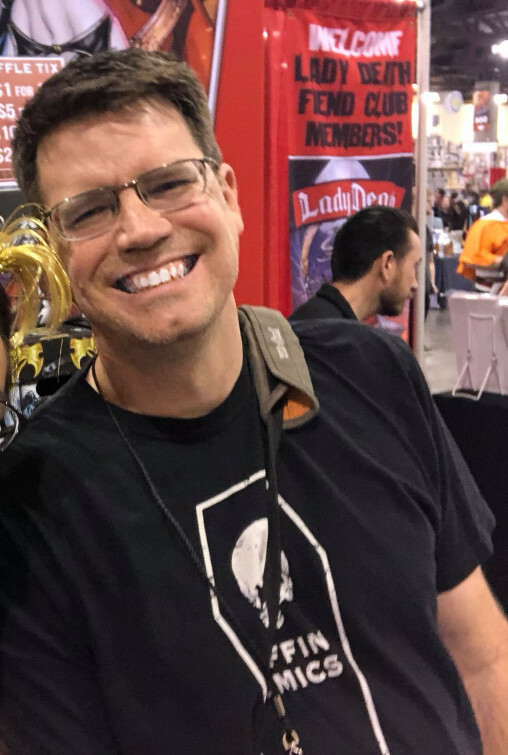 He is publisher of Coffin Comics, which has taken Kickstarter, the convention circuit and the comic market by storm (thanks to the legions of fans)! 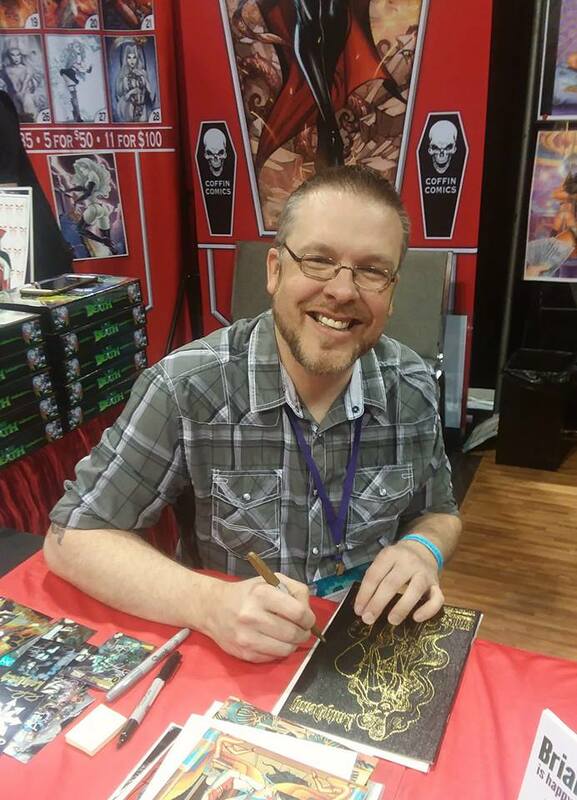 He’s the publisher of the all new Lady Death on Coffin Comics, La Muerta, the new Mexican American femme fatale, and Zack the Zombie Exterminator. 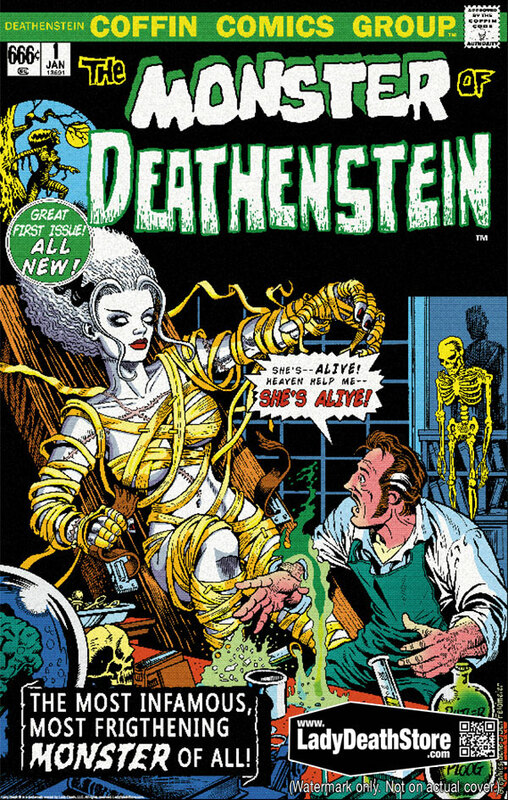 Mike MacLean took a flying leap into the comics world, co-writing Lady Death, La Muerta, and Zack the Zombie Exterminator with Coffin Comics founder Brian Pulido. Mike is also the screenwriter behind the hit SyFy creature features Sharktopus, Piranhaconda, and Dinocroc vs. Supergator, all produced by the legendary Roger Corman. In addition to monster flicks, Mike wrote the comedy Attack of the 50 Foot Cheerleader and the military thriller Operation Rouge. David “Artassassin” Harrigan has been a freelance illustrator for the past thirteen years. 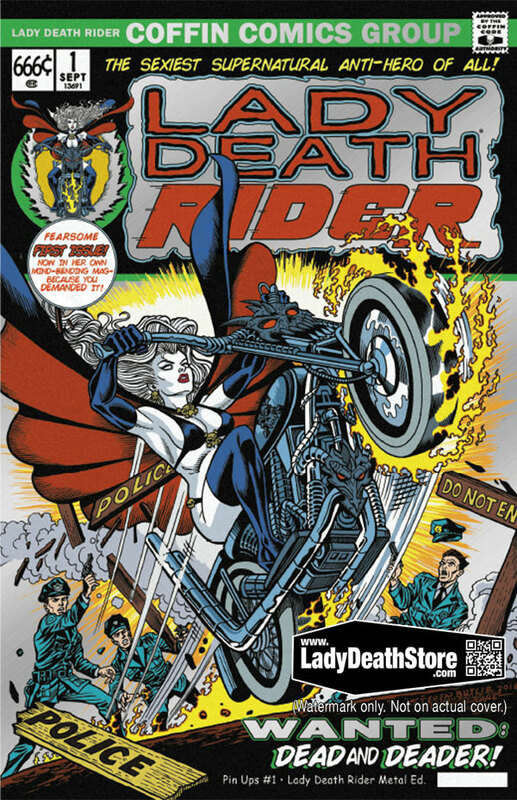 Some of his credits include artwork for Radio Comix, Antarctic Press, Super Real Graphics, Zombies v. Cheerleaders, Girls and Corpses magazine, Imagine FX magazine, Voltron, United and Drawn, sketch cards for several trading card series such as The Pro, Sheena, Vampirella, Grimm Fairy Tales, Transformers, Warlord of Mars, and most recently, providing variant covers for Lady Death. 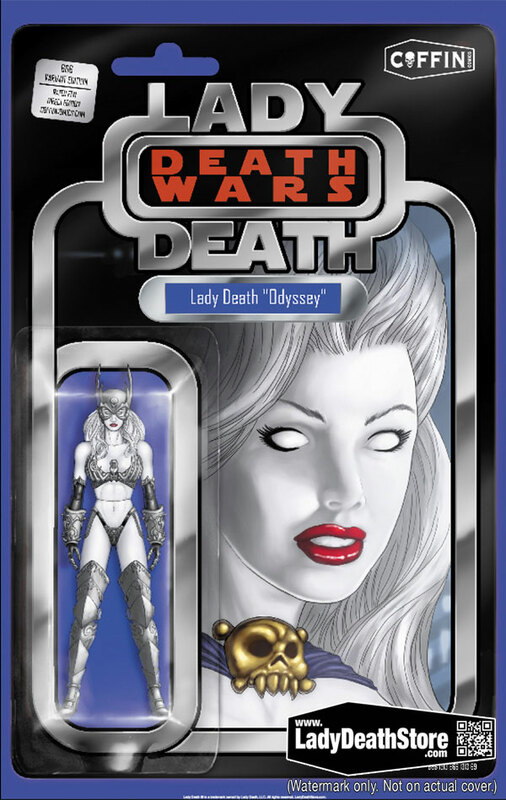 REVEALED – LADY DEATH: NIGHTMARE SYMPHONY CHARACTERS & ART TEASE! 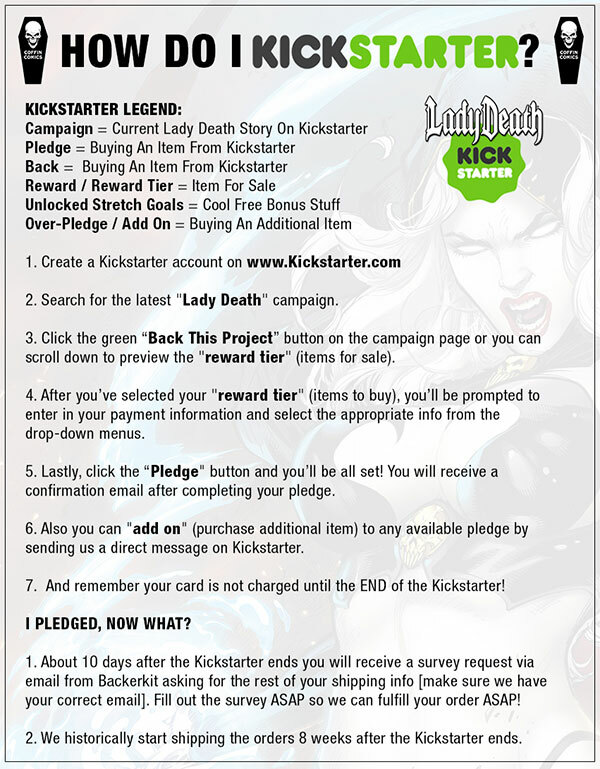 Our newest Kickstarter for Lady Death: Nightmare Symphony will launch Wednesday, August 8th at 7:00PM AZ TIME! Go to www.kickstarter.com to create your account now! MEET THE CHARACTERS FROM NIGHTMARE SYMPHONY #1! 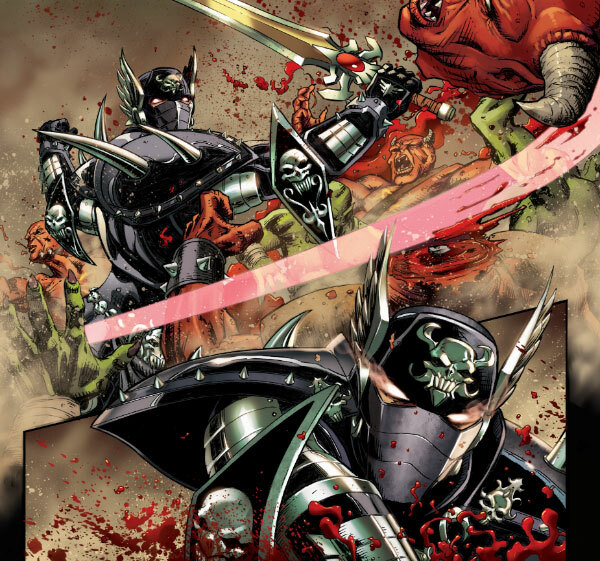 Once the man known as Ravenheart was Azrael, the Archangel of Death. Stripped of his angelic form, he became a black knight and a thief. Ravenheart’s loyalty and fearlessness as a warrior were legendary. But for centuries, he harbored a secret known to no one—until now! 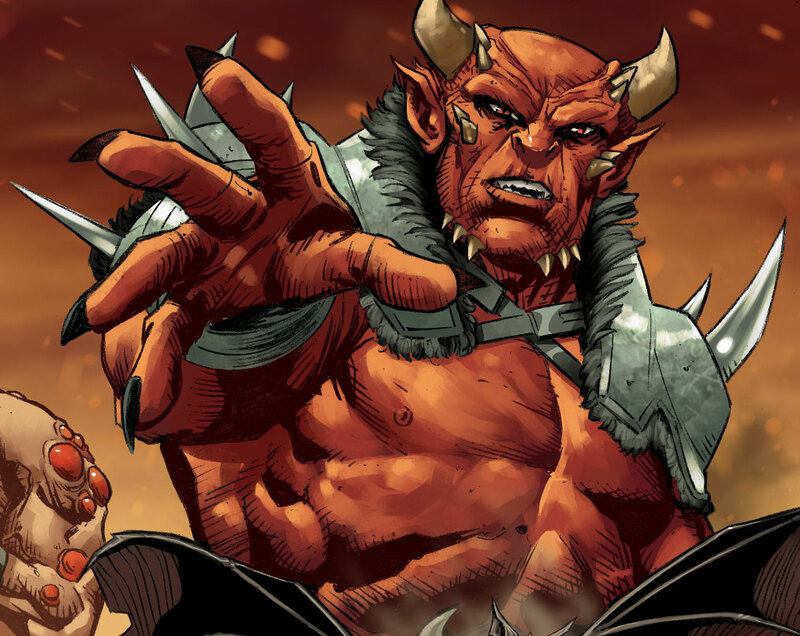 One of the archdukes of Hell, Sallos is a lethal adversary whose dark magic rivals demonkind’s most powerful mages. Cold, calculating, and cunning, Sallos wants nothing more than to devise a plan that will lead to Lady Death’s destruction. We could show you the full cover of the Kickstarter Naughty Edition by Elias Chatzoudis but what fun is that? Instead, you only get a little tease of what we have in store! MARK YOUR CALENDARS! 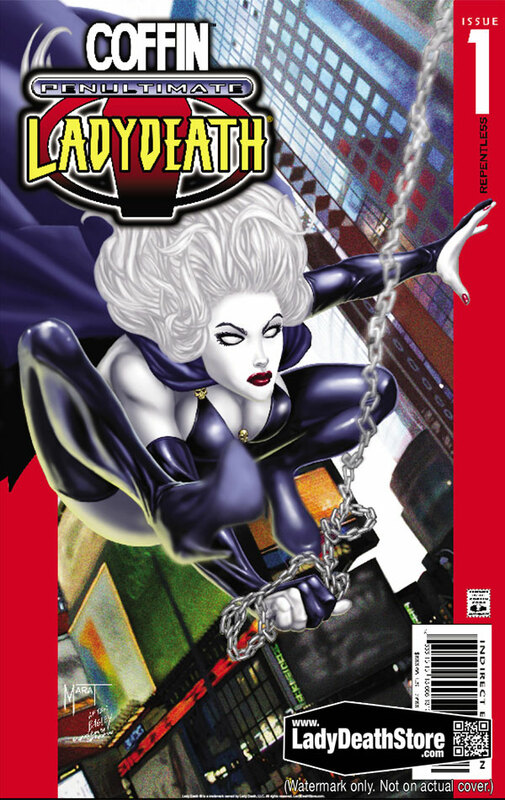 Lady Death: Nightmare Symphony #1 will launch on Kickstarter Wednesday, August 8 at 7:00PM AZ TIME! 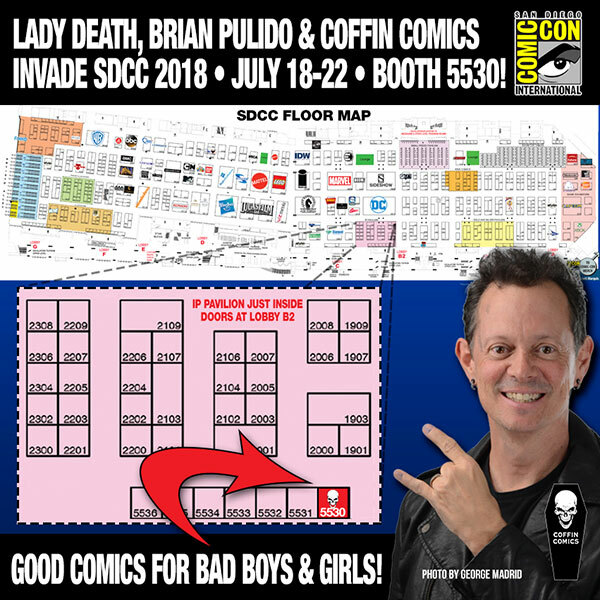 This entry was posted in Conventions, Kickstarter, News, Product News and tagged brian pulido, con, convention, exclusive, exclusives, kickstarter, lady death, nightmare symphony, preorder, san diego, sdcc. Bookmark the permalink. Both comments and trackbacks are currently closed.